snails | Claire Needham Photography. Melbourne & Tasmania. Typical old myrtle, with hollow buttress roots. They make great shelter for many animals. Way back in February I went on another photography trip for the Tas Land Conservancy, this time to the Blue Tier region. 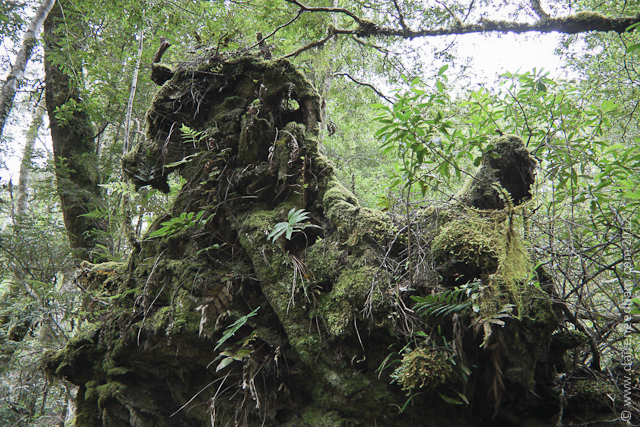 On this trip there was no strolling about on alpine plains; this mission involved bashing through unmarked terrain, mostly rainforest, with patches of Hard Water Ferns up to my shoulders (!!!) 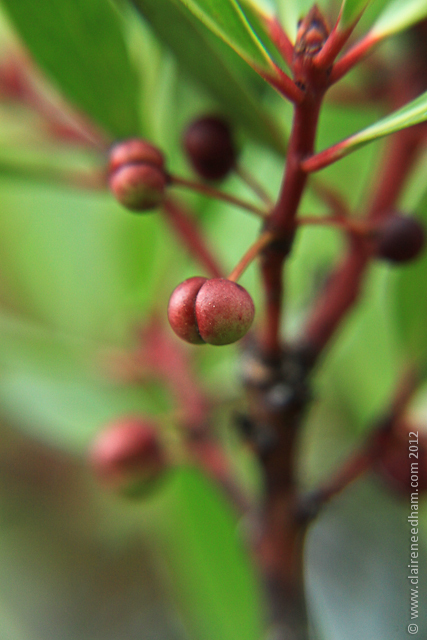 and tightly packed Tea-Tree – with a tripod! Found this sea-horse looking root system from a fallen tree. You can also see how everything is symbiotic in a rainforest. 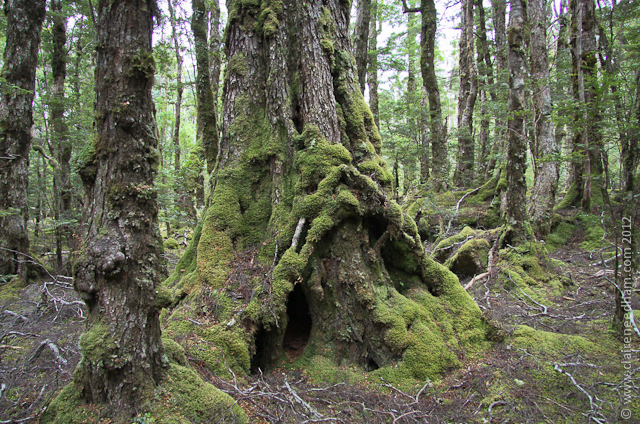 This area has some fantastic gnarled myrtle trees and tonnes of lichen, moss and fungi – even in late summer. I saw blob shaped bright red fungus and bright yellow fungus, which was great as I had some new filters to test out – which I think worked a treat! I also found the remains of some rare snails (cracked open by birds), which I hadn’t seen before. 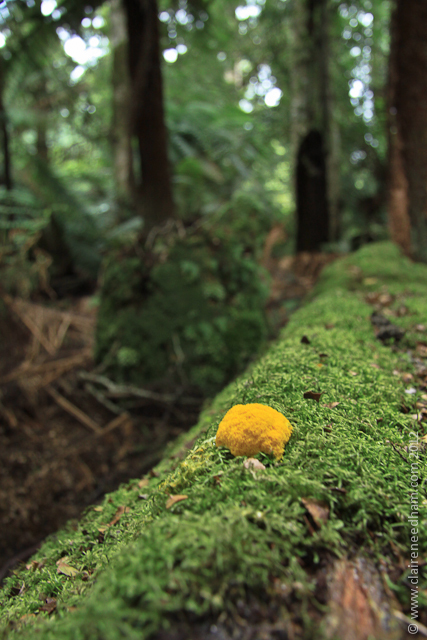 Yellow fungus on a log. There were so many great things to photograph in macro, I had a great time. I also came across a giant Potato Orchid; I had turned around to find what I thought was a tree sapling but then realized it was a flower – the stem was over a meter high! I’d never seen this before and was quite stunned. 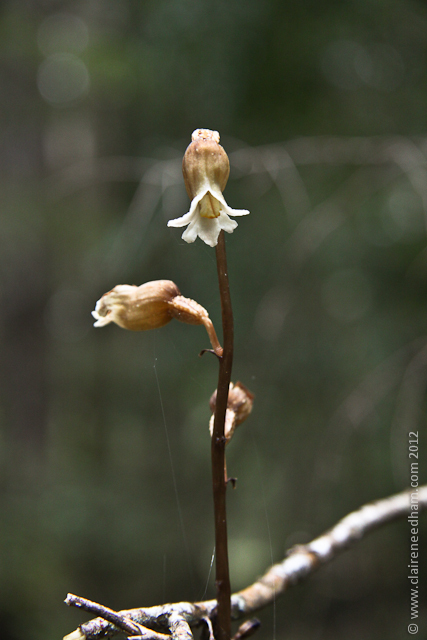 Potato Orchids have very tall stems, quite unusual. The next day we trekked along the Moon Valley Rim circuit to Mt Poimena, which is a great lookout spot with almost 360° views and you can see for miles! If you’re ever in the area this should be on your list of things to do and see. Heaps of Native Pepper and red berry bushes around. 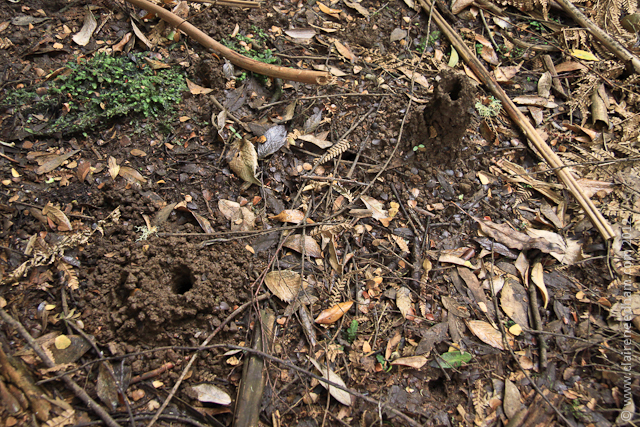 I also found an unusually tall opening of a yabby hole. The one on the left is more common. I really love these trips. I get to hang out with other landscape photographers, take my time photographing and go to amazing places – some of which are not yet open to the public.